Alden Richards and Maine Mendoza’s television commercial for Coca-Cola is now out! Coca-Cola Philippines finally released its newest TV commercial for Christmas featuring the phenomenal love team of Alden Richards and Maine Mendoza on Friday, December 11, 2015. In the said TV ad, Alden and Maine hold hands and nearly kiss before sharing a bottle of coke at the end part of the video. Lola Nidora, portrayed by Wally Bayola, was also part of the TVC. Watch below. 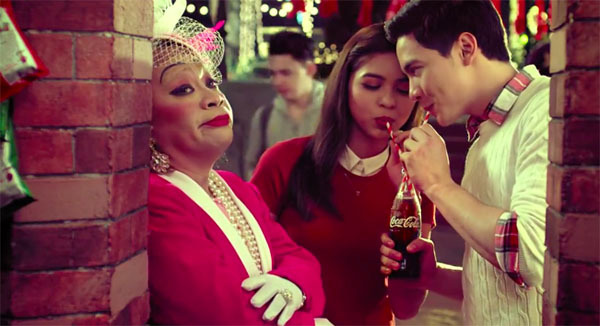 What can you say about AlDub’s Coca-Cola TV commercial? Share your thoughts on the comment section below.